The historic village of Kohukohu is located in the heart of the Hokianga,one of the most beautiful harbours of the North Island. Kohukohu is one of the oldest settlements in New Zealand and offers the traveller tranquility and the feel of a bygone era. 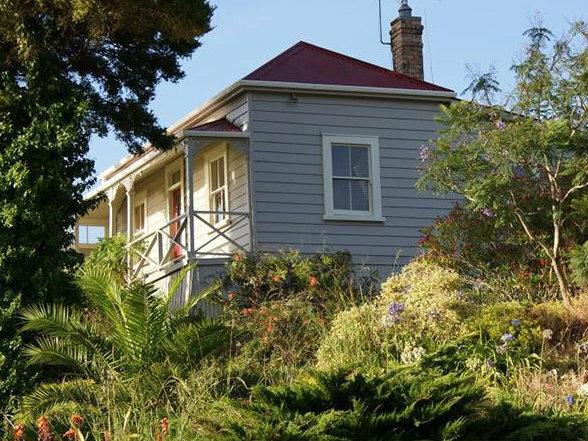 This 1880’s cottage has wonderful views of the harbour and is tastefully decorated and furnished . Stay on the verandah with a good book, wander along the water to excellent coffee, do daytrips to the Kauri forest, the huge sand dunes, the historic villages. The cottage has 2 bedrooms, one with a queen size double bed and the other with 2 single beds, a dining/living room, equipped kitchen and bathroom. Duvets, linen and Towels are supplied, washing machine available.BBQ, off street parking, walking distance to shop and cafe.